NASA on Wednesday announced that the world's oldest and most experienced spacewoman is getting three extra months in orbit. Peggy Whitson will remain on the International Space Station until September. The57-year-old astronaut arrived last November and was supposed to return to Earth in June. But under an agreement between NASA and the Russian Space Agency, she'll stay another three months and take advantage of an empty seat on a Soyuz capsule in the fall. This mission will now last close to 10 months. Scientists are eager to monitor any changes to her body, to add to the knowledge gained from retired astronaut ScottKelly's recent one-year flight. The two men she flew up with in November France's Thomas Pesquet and Russia's Oleg Novitskiy will return in June without her. 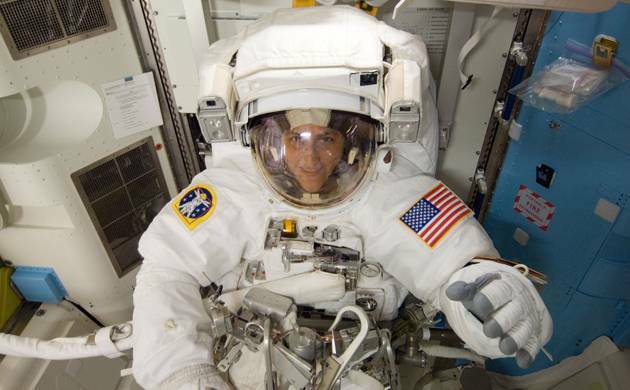 Whitson has already spent more time in space than any other woman, counting all her missions, and just last week she has set a record for the most spacewalks by a woman, with eight. This weekend, she'll take over as space station commander, her second time at the job. And on April 24, she'll set a new US record for most accumulated time in space. That NASA record 534 days is currently held by former space station resident Jeffrey Williams. There will be a return seat for Whitson in September because the Soyuz due to launch later this month will carry up one American and one Russian, one person fewer than usual. Russia is temporarily cutting back to two station residents. With Whitson's extended stay, the orbiting outpost will continue to have a full crew of six. Whitson, a biochemist who grew up on a farm in Iowa, chief astronaut became an astronaut in 1996. She serchief astronautfrom 2009 to 2012, the only woman to ever hold the job.